"Robert Sheard's new book Money for Life should be required reading for anyone who wants to endow their life. His guidance will get you well on your way to living a more enriching life." "In this remarkable and well-written book, Robert Sheard sets a new standard for personal finance writing. 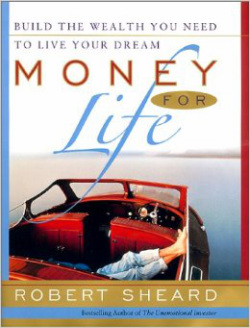 He explains clearly how to plan sensibly and easily to have money for life." "Sheard's mechanical investing models and common-sense method for achieving financial independence—while you're still young enough to enjoy it—are exactly what the average American needs to learn. It's not a game only the pros can play. In fact, individuals often beat the pros at their own game once they master the techniques explained in Money for Life."